To facilitate the daily work with theranostic tracers, Eckert & Ziegler developed Modular-Lab eazy – the innovative and smallest radiosynthesis system on the market. The synthesizer comes with a completely new cassette design, which makes the handling of Modular-Lab eazy as easy as never before. By just clicking in the synthesis cassette all pressure connections are done automatically. After connecting the generator and filling the chemicals, the complete synthesis works without user interaction. 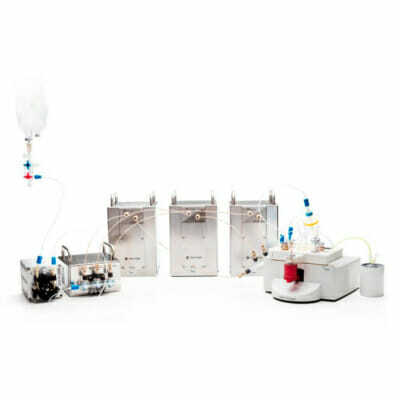 To be able to start with the production without any further delay, Eckert & Ziegler offers the all-in-one solution for the synthesis, consisting of the registered GalliaPharm® 68Ge/68Ga Generator, [90Y]Yttrium Chloride (Yttriga), disposable synthesis cassettes, quality control devices and a wide range of additional consumables. The peptide has to be purchased by the user. Eckert & Ziegler also offers alternatives from the Modular-Lab family. Modular-Lab Standard is a tubing-based system intended for research and development of radiotracers. 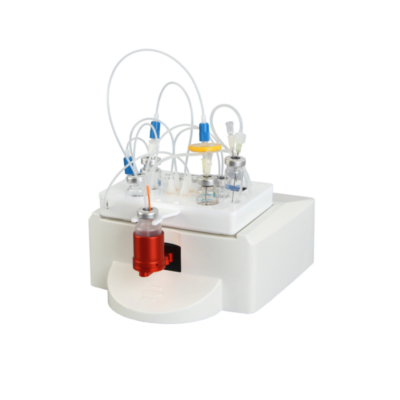 Modular-Lab PharmTracer follows the cassette-based approach and can be used for GMP-compliant routine production as well as research purposes. 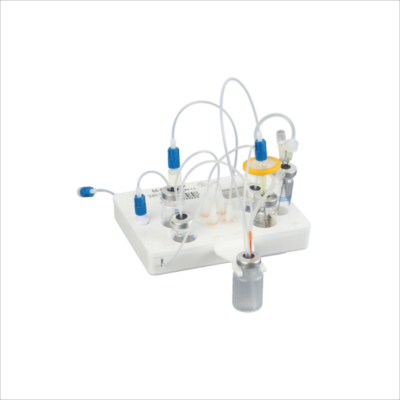 Our newest synthesis system KitLab is a stand-alone device for handling of shake ‘n bake kits and more.